PRICED TO SELL! 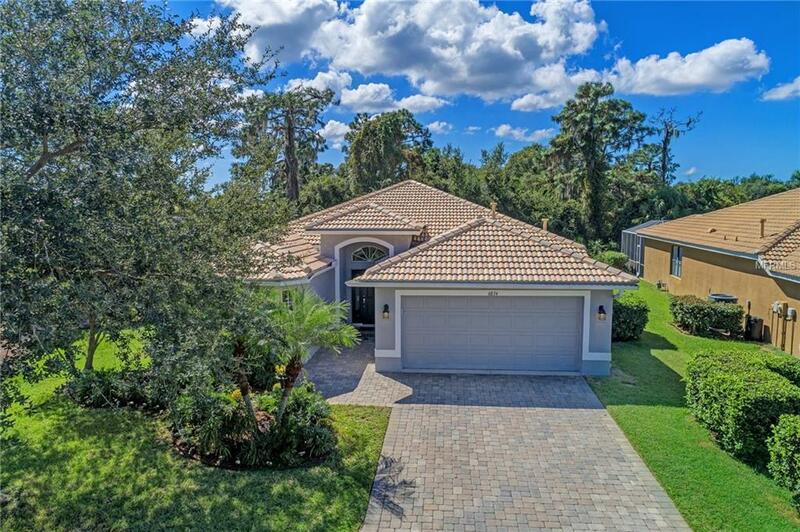 This light and bright move-in ready 3 bedroom, 2 bath home has much to offer An open floor plan with living room, dining room, eat-in kitchen, separate family room, spacious master suite, and screened-in lanai, all located on a private preserve lot! In addition there is fresh paint inside and out, new carpet in bedrooms, and cleaned & sealed tile throughout the living space. Buyers will have peace of mind knowing the A/C was replaced in 2018, Hot Water Heater (2016), Microwave (2018), Refrigerator (2017), Dishwasher (2016), Disposal (2016) and a 1 Year Home Warranty is included with purchase. No detail has been forgotten, this home even includes a 100 Bottle Wine Fridge! All this in a community that provides residents a club house with large heated pool, fitness center, playground, wooded walking trails and river access. Schedule your appointment to view TODAY! Additional Lease Restrictions Lease Application And Background Check Required. See Hoa Docs For Full Details.